You never cease to amaze me - the volume of art you create is marvelous! You are one talented lady! 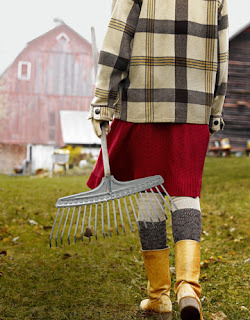 I noticed your gal is a bit more chic than the COUNTRY LIVING one. So "right" for Paris! Wow Paris sure changes a lot but the ol Eifel Tower is still there. My husband is the designated raker in our family. I am certain he could have raked his way to Paris several times. I got a chuckle out of Beverlys coomment. 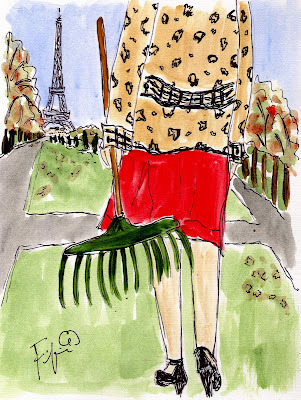 My husband too could have raked his way to Paris a few time too. It's about to begin again this year. :O Lovely painting. Love your work. Followed from Country Living on FB.